Why not since I posted a pic of the wifey. Not happy enough with how I look right now to post a full pic, so here’s some calves lol. Everybody jump in. If you got calves you’re proud of post them. Why is second pic not working??? So glad they brought those Nikes back my all time faves!! Great calves also!! Not the best pic but calves is one thing that I got going that I don't really have to make an effort with. Excellent calves. Killer vascularity too. Wish I could get calves like that. I’m 6’4” with long legs. My calves look like I have a couple bug bites right under the back of my knee. Good calves. vascularity always helps the look and you have plenty of that. I always had the small, high, tight calves. Very vascular but could never achieve the popping size. 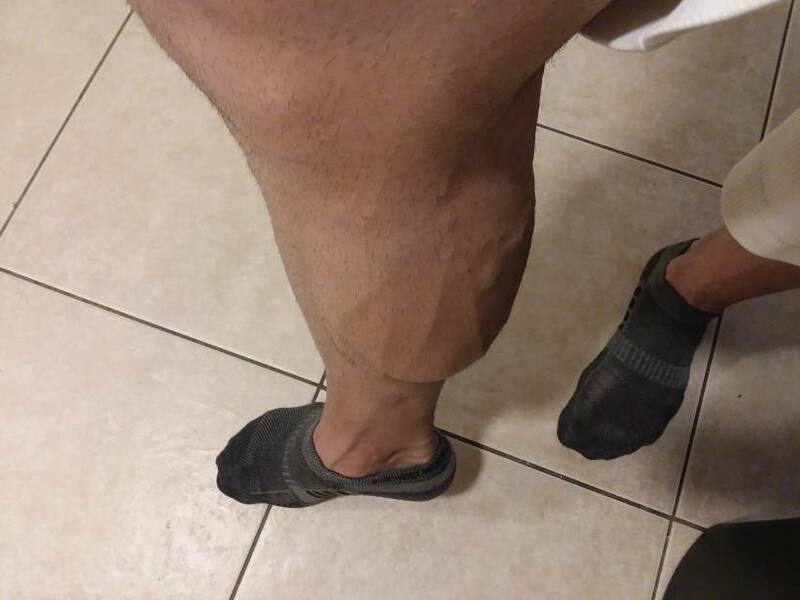 Took me my 13th year to get calves - natty training even put 2 inches few months with what’s called nautilus multi machine but never see around no more . Had belt tied to weight stack and steps plus dip chinning part . 10 standing 6 seconds descent on each 4 up ., then bent placing hands on step like donkey with no ready 10 more , then using either dip or chinning part forced reps negative reps to 10 more . My preanabolic days after over decade training put 2 inches on each calf . Plus now always do minimal 600 pounds standing calf raises . Even when I began my AAS journey never equals this again but calves my best too. My calves were a major weak point but I've really brought them up over the years.